ON World provides global business intelligence on Internet of Things markets. IoT technologies such as wireless sensor networking and cloud computing are changing the way that the world works by increasing the awareness and connectedness of systems used by consumers, enterprises and governments. Our research reports and customized studies are used by Fortune 1000 companies, investors and IoT developers worldwide. People -- We have assembled a world-class team of analysts who have relevant industry experience and technical knowledge. Proprietary Systems -- Our proprietary research system emphasizes extensive primary research with vendors, suppliers, and end users; ongoing compilation of market intelligence from thousands of public and private data sources; and systematic analyses and forecasting processes. We invest a large percentage of our profits in leading edge information technologies that drive our primary research. Position -- We focus exclusively on Internet of Things markets and have created information technology systems that model the specific challenges related to smart technologies. Pricing -- By profit-sharing with our analysts, leveraging our proprietary systems, and focusing on the Internet of Things, we can offer you -- our customer-- maximum research value. Selling to more than 40 countries worldwide, ON World's customers include market leaders in IT, networking automation and mobile computing such as 3M, Apple, Cisco, Eaton, Emerson, Ericsson, France Telecom, GE, Honeywell, Hewlett-Packard, IBM, Intel, Microsoft, Motorola, Nokia, Philips, Samsung, Siemens, SK Telecom and T-Mobile as well as startups and other innovators. Our research is frequently used by management consultants and other analyst firms such as Bain, Boston Consulting Group, McKinsey and IHS Research. In addition, ON World's investment analyses have been instrumental for private equity funding for smart technology startups that currently have a combined multi-billion dollar valuation. ON World is regularly quoted by leading business and technology publications such as CNBC, CNET, Entrepreneur Magazine, Forbes, Investor's Business Daily, MIT's Technology Review, New York Times, Sensors Magazine, Control Design,The Economist, EE Times, and the Wall Street Journal. Our research has been referenced by federal agencies and research institutions such as NIST, Lawrence Livermore National Laboratory and the US Department of Energy. ON World's research methodology features extensive primary research such as phone interviews and online surveys, ongoing review and filtering of market data from thousands of public and private data sources, as well as systematic analyses and forecasting processes. Preparation - Before beginning a new report we get feedback from our customers to define the market, technology, and product/service scope as well as other research objectives such as investigating specific end users' needs. Primary Research - We complete surveys with hundreds of end users, vendors, and suppliers every quarter. Competitive Landscape - Product segmentation, competitor "disruption" and "sustainability" evaluation, value system analysis and other competitive forces. Technology Dynamics - Competing variations and alternatives, standards, performance, functionality, and pricing. Market Forces - Market segmentation, industry, economic, and regulatory forces. Forecasting - Total potential market sizing, adoption drivers and inhibitors, and projections using our proprietary formula that predicts the impact of emerging technologies on new and existing markets. Report Writing - Each report-- authored by at least two senior analysts-- includes the following major sections: Executive Summary, Ecosystem, Market Size Forecasts, Target markets, Technology Dynamics and Competitive Landscape (competitor segmentation, analysis, and profiles). Experienced Analysts -- Each research channel is covered by at least two senior analysts with combined relevant industry and/or research experience of 20 years or more. Each channel team includes a technical advisor often with a doctorate degree in a relevant industry area. Real-World Focus -- Our research system enables us to keep up-to-date with market developments, technology trends, and competitive forces so we can provide our customers with current business intelligence to help them win in today's global marketplace. Relationships -- ON World's ongoing relationships with executives at startups and Fortune 1000 companies ensures we stay on top of rapidly changing market conditions, new business models, and the disruptive impact of emerging wireless technologies. Affordable-- Our proprietary systems, methodology, and report strategy enables us to provide maximum research value at competitive prices. Unbiased -- As an independent research firm, ON World has no vested interest in any companies, technologies, markets or standards. Immediate Download: - Download your report(s) within minutes after your online purchase. Available Today - No subscription or account required. 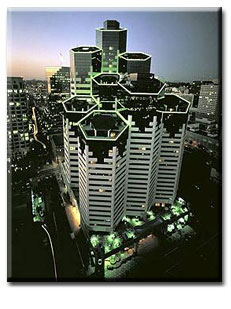 ON World was founded in 1996 in the San Francisco Bay Area and is headquartered in San Diego, California.